Palmetto Grill in Cape Haze Florida has closed and is selling all inventory absolute. The inventory consists of all the equipment, furniture, POS system and décor of this 4 year old fabulous restaurant! 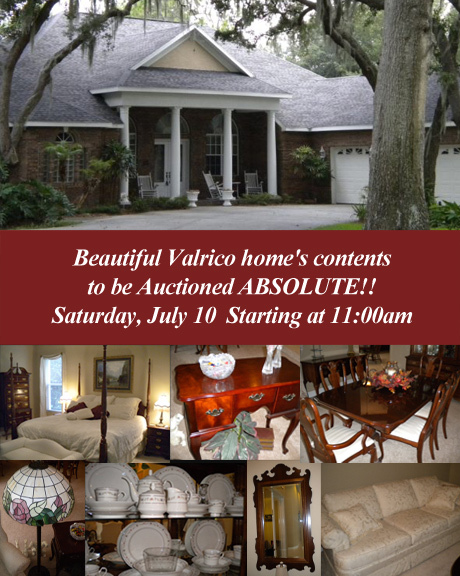 Long time residents of Valrico have sold their home and now want to liquidate all of the contents!! Furniture, art, electronics, tools, professional exercise equipment and much much more!! Everything must go ABSOLUTE!! A Valrico couple have sold their house, therefore they will offer to the public, by way of ABSOLUTE AUCTION, all the furniture, tools, power equipment, electronics, art and décor. 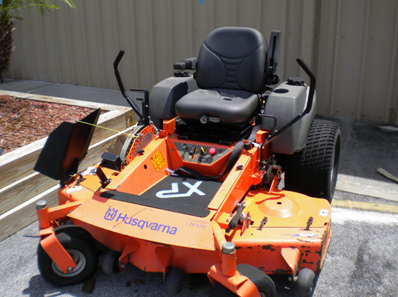 Additionally, professional fitness equipment, a 2004 Honda Accord and a LZ6120 Husqvarna zero-turn commercial mower. For more info, call John Harris at (813) 784-3926, or email harrisauctions@hotmail.com. As the seller prepares to move, more items are being added daily! A complete list will be posted a few days before the sale. Please check the website a few days before the sale.